The Laplace transform X(s) is a complex-valued function of the complex variable s. In other words, given a complex number s, the value X(s) of the transform at the point s is, in general, a complex number. 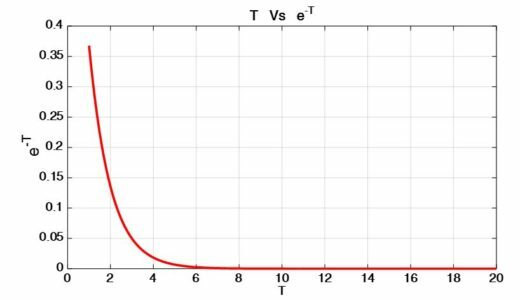 By (2), we see that one-sided transform depends only on the values of the signal x (t) for t≥0. This is the reason that definition (2) of the transform is called the one-sided Laplace transform. We can apply the one-sided Laplace transform to signals x (t) that are nonzero for t<0; however, any nonzero values of x (t) for t<0 will not be recomputable from the one-sided transform. If the set Λ is empty, that is, there is no real number σ such that (3) is satisfied, the function x (t) does not have a Laplace transform (which converges “absolutely”). Most functions arising in engineering do have a Laplace transform, and thus the set Λ is not empty in many cases of interest. Where Real s = real part of s, is called the region of absolute convergence of the Laplace transform of x (t). for any complex number s such that (4) is satisfied, the integral in (2) exists, and thus the Laplace transform X(s) exists for this values of s. Hence the Laplace transform X (s) of x (t) is well defined for all values of s belonging to the region of absolute convergence. It should be stressed that the region of absolute convergence depends on the given function x (t). For all real numbers σ such that σ>0. Thus the region of absolute convergence of U (s) is the set of all complex numbers s such that Real s >0. The limit in (7) exists if and only if σ>0. WHY? Since we are just dealing with real part (σ) of s, so we intentionally ignored e-jwT . In order to plot the above function, we assume σ=1 (it could be any number > 0). So, if we look at the graph, we can perceive that the function clearly approaches 0 as T→∞. Hence, If Real s>0, the limit in (7) is zero. Very Informative and to the point.Great write up.